One of the most beautiful Swiss cities Lugano is going to host the jubilee edition of the New-OPEN di Lugano from 25-28 March 2016 at Hotel Pestalozzi, which is located in the center of the town, overlooking the bay. It will be separated into Open A (open to all, regardless of their rating) and Open B (open to all players rated below 2050 Elo) and it will be played in a 6-round Swiss format with a time control of 90 min.+ 30 sec./move for 40 moves, then 15 min.+ 30 sec./move till the end of the game. Both events will be valid for FIDE rating. A total prize fund in the amount of CHF 8,300 max., CHF 5,700 min. will be granted at this year’s edition of the tournament and it will be accompanied by many pleasant surprises and simultaneous exhibitions. A total of no less than eight internationally renowned grandmasters has already subscribed for the tournament. Top seed is Hungarian player GM Gergely Antal, followed by one of the best Bulgarian players GM Boris Chatalbashev and Serbian GM Mihajlo Stojanovic. Lugano is considered as a part of “Mediterranean Switzerland” due to its mild climate and its location on the bay of the lake Lugano. 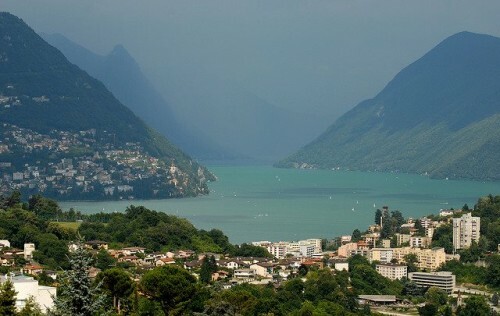 The city also offers wonderful landscape composed of the Alps and the quiet lake and is at the same time third financial city after Zurich and Geneva. With a population of 55,000 Lugano is easy to reach – Milan airports are at a distance of about 90 km, Bergamo (with many low-cost flights) – 120 km. Lugano also has its own airport – for domestic flights.